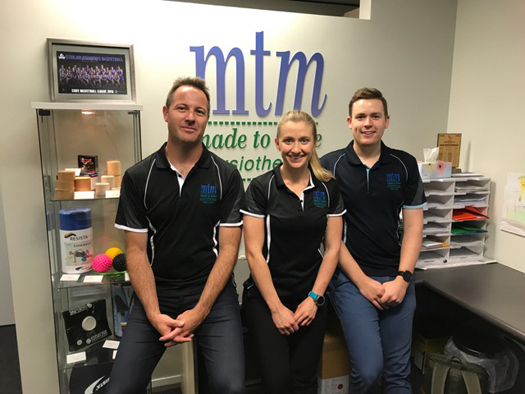 Made to Move Physiotherapy is a long established and reputable Physiotherapy company in Perth’s Northern corridor, and here at MTM Physiotherapy - Warwick Stadium we aim to continue that proud tradition. Owned and operated by Australian Olympic Sports Physiotherapist Andrew Stanford, MTM Warwick offers all our clients a high-quality Physiotherapy Assessment and treatment for an extensive range of musculoskeletal issues. Our trusted brand has a well-known reputation for getting results and exceeding expectations in treatment. With exclusive access to the newly refurbished sporting facilities of Warwick Stadium, all our client experiences include a more detailed examination of movement patterns on a court or in the gym. 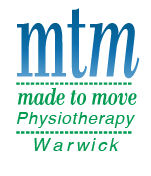 MTM Physiotherapy Warwick are proud Sponsors and Physiotherapy providers to many local and National sporting organisations. These include Senators Basketball, West Coast Warriors Netball in the State League, Northern Stars Volleyball, The WA Football Commission, Doubleview Carine Cricket Club, The Illawarra Hawks National Basketball League Team and the WA institute of Sport. These affiliations mean that our Physiotherapists have had many and varied experiences working in elite sporting environments. As a patient needing help, this can only benefit you! Whilst located in a unique sporting setting, our expertise is certainly not limited to treating only sports injuries. We routinely treat chronic neck and back pain, headaches, foot pain, ankle pain, knee pain, shoulder injuries, hip pain, sciatica, plantar fasciitis, patella tendinopathy, Achilles tendinopathy and general aches and pains!! Our Physiotherapist’s have all completed extensive post graduate studies and continue to seek opportunities to further their skills via ongoing professional development both internally and externally. We will employ a multitude of treatment modalities to achieve the best possible outcome. These can include manual therapy, dry needling, exercise prescription, massage and strength programs. Physio Exercise Classes are also a feature offering of ours. These classes are run several times per week and are a great form of Pilates-informed rehabilitation and strengthening. We offer our rehabilitation classes in the form of mat work (Group Physiotherapy Classes: 561) and equipment-based (Physiotherapy Rehab Consultations: 505) sessions. We hope that the information that you find on our website is insightful and informative for your specific needs. We strive to update this regularly and provide great health and fitness advice to our clientele in the Northern Suburbs of Perth. As we are centrally located between the City of Joondalup and Stirling, our northern suburbs location is very easy to get to. If Social media is your thing then why not jump across to our Facebook page https://www.facebook.com/Physiotherapywarwick to stay up to date with the happenings of the clinic as well as being the first to know when a new blog drops. Or alternatively if Instagram is more your style you can follow us @mtmphysiowarwick. Come and see one of the Perth Physiotherapists today!